It’s no secret that we love to travel and we love sharing our experiences with you! 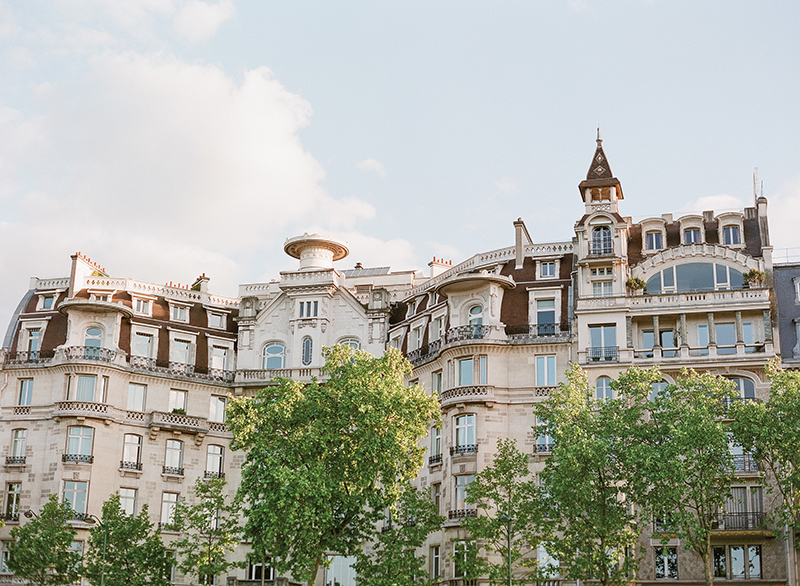 Here’s a peek into part one of our Wanderlust Guide to Paris. 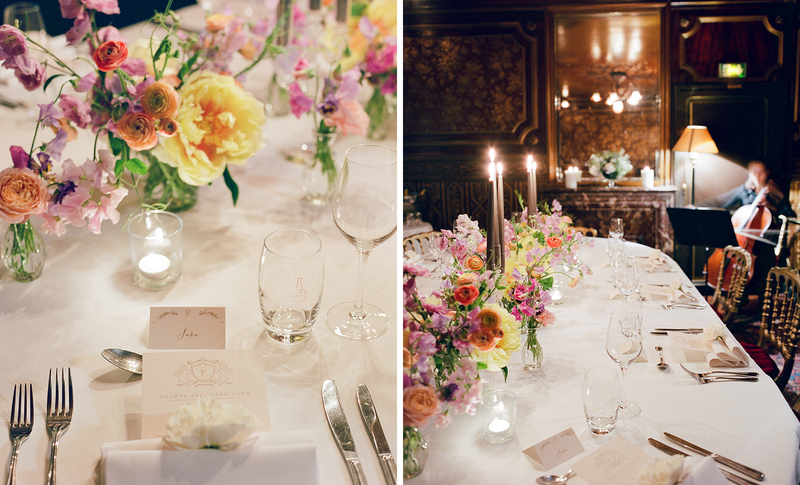 La Vie En Rose: Find yourself a seat at Café de Flore. Nestled in the heart of Saint Germain des Prés, watch the passersby, listen to the nearby live music of the day and revel in the magic of la vie en rose. In our humble opinion, this is one of the best ways to coffee and croissant — or rosé! Open daily 7:30AM – 1:30AM. Boutique du Jour: When in the Le Marais, shop one-of-a-kind fashions, gorgeous home goods and chic accessories at Merci. Be sure to save time for an espresso from their Used Book Café, a healthy snack from the airy garden Cantine, or a more traditional dish and glass of wine from the streetside Ciné Café. You’ll feel pretty fab with all your spending, as a portion of the proceeds benefit education and development in Madagascar. Merci! Open Monday – Saturday, 10AM – 7:30PM. Take A Crepe Break: at La Petite Bretonne. The cozy and charming crêperie is located in the 9th arrondissement. Fuel up with something savory or sweet…or both! Open daily 12PM – 10PM. Park It: Grab a baguette, a good book, a bottle of wine and do as the Parisians do by posting up in one of Paris’ many heart-fluttering parks: Jardin des Tuileries, Jardin du Luxembourg, Palais Royale, Parc Montsouris…Gardens are typically open sunrise to sunset. Flea to the Market: Just north of the Montmartre (18th Arr.) is the Marche Aux Puces Saint-Ouen, the grand antique market. Lose yourself in antique table decor, decorative furniture pieces, vintage clothing, art, luggage, jewelry, etc. Open Saturday and Sunday, 10AM – 6PM and Monday 11AM – 5PM. If Their Walls Could Talk: …They’d tell you to do dinner at Lapérouse. Sitting pretty on the Seine in the 6th arrondissement, the Parisian institution is a favorite! 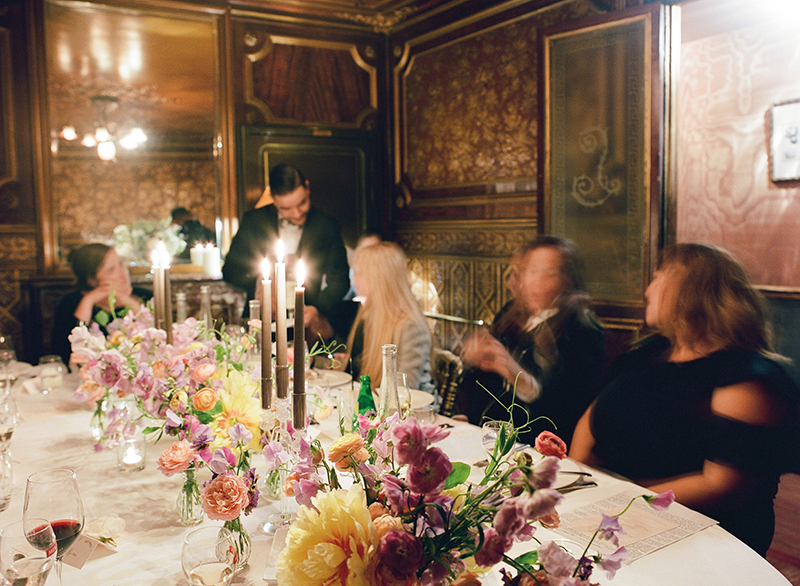 Brush up on the history before you go, relish the romance, and enjoy a gastronomic evening in one of the legendary private salons. Open Monday – Saturday, 7:30PM – 11:30PM. Midnight in Paris: Nowhere else than the spirited Bar Hemingway. Located inside the Ritz Paris, lovers and cocktail lovers alike unite for an exquisite experience with head barman Colin Peter Field. Which cocktail are you? Open daily 6PM – 2AM. 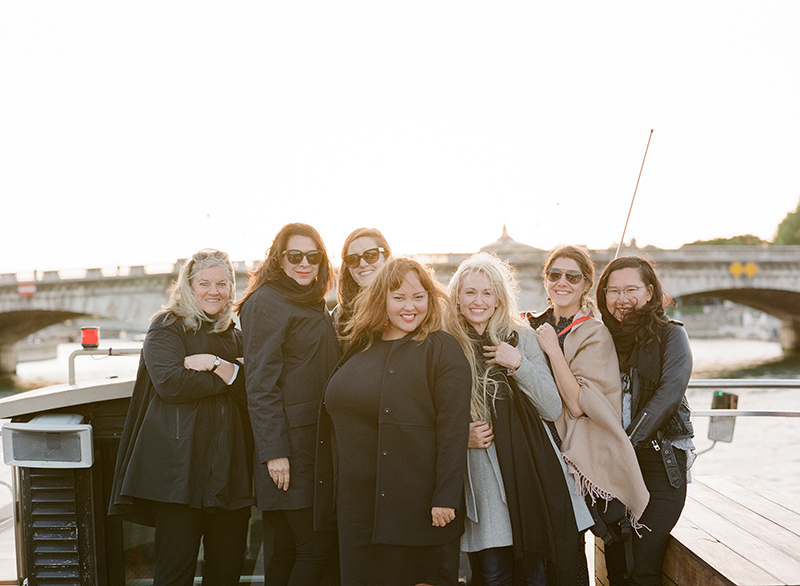 Cruise the Seine: Hop aboard Vedettes de Paris at sunset. With your hair blowing in the wind, the warm glow of the sun shining on your face, and a glass of champagne in-hand, it’s a perfectly touristy way to see the City of Lights. Cruises depart every 15-20 minutes at the base of the Eiffel Tower. Open daily 10:30AM – 11PM. La Maison Rose. The pretty in pink cafe sits on a cobbled, vine-covered road in the Montmartre. Get there early! It’s worth a picture and a bite to eat. Open Thursday – Sunday, 12PM – 11PM. Au Vieux Paris. Located in the Île de la Cité, the enchanting, off the beaten path cafe and wine bar is covered in climbing wisteria throughout the spring and summer. Open Monday – Friday, 11AM – 3PM and 6PM – 11PM; Weekends, 12PM-11PM. Step up to the Sacré-Coeur: No need to climb the Eiffel Tower! This is your spot for picturesque views of the entire city. If you’re visiting on a warm summer evening, stash a bottle of wine in your tote, enjoy an epic sunset, and lively music from the locals. Open daily 6:00AM – 10:30PM. Parisian Chic: Add Ines de la Fressange to your shopping list. The heart-fluttering Left Bank boutique is a bazaar of delightfulness – blending chic, timeless, fashions with lovely leather goods and clever decor – all within a stylish atelier. Open Monday – Saturday, 11AM – 7PM.